Judaism is by some distance the oldest of the three Abrahamic religions and, despite the extraordinarily varied forms it has taken and diverse beliefs it has contained over three millennia, it has been generally understood by both Jews and gentiles as a single entity. There have been many histories of the Jewish people but remarkably few attempts to relate the history and evolution of Judaism itself. 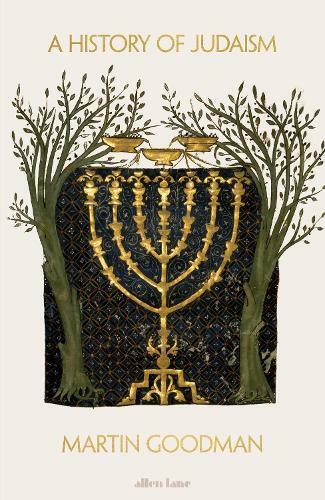 In this book, the first comprehensive, single-volume work of its kind in English, Martin Goodman explains how Judaism came to be and how it has developed from one period to another, as well as the ways in which its varieties have related to each other. A History of Judaism ranges from the religion’s inception amidst polytheistic societies in the second and first millennia BCE, through the Temple cult at the time of Jesus to the rabbis, mystics and messiahs of medieval and early modern times and, finally, the many denominations of the contemporary Jewish world. It is a truly global story, spanning (of course) the Middle East, Europe and North Africa, but also China, India and America, and one that accounts for the threads of doctrinal and philosophical debate running through the religion’s history as well as the institutions on which (or in reaction to which) all forms of Judaism are based. This book addresses one of the world’s great religions on a grander scale than any predecessor.